LED Lighting & Controls — Dominion Lighting, Inc. Outdated interior or exterior fixtures are energy nightmares - they consistently draw large amount of energy while giving off poor light quality. Replacing or retrofitting these fixtures can seem like a confusing task - it doesn't have to be! During the free energy assessment, our staff will go over the latest technologies with you and help you select the one that best fits your needs, and budget. Not only will lighting upgrades bring about energy savings, it will also improve light quality, uniformity, color and appearance. Your staff and customers will feel more at ease with bright and beautiful lighting! An increasingly popular solution, LEDs are incredibly efficient light fixtures with lengthy operating lives. They provide unbelievable light quality at a fraction of the energy, and can be paired with lighting controls for maximum energy savings. Controls can be paired with LED fixtures to make them more efficient. Controls create an “intelligent” light fixture, using energy only when needed and turning it off (or dimming it down) when full brightness isn’t necessary. 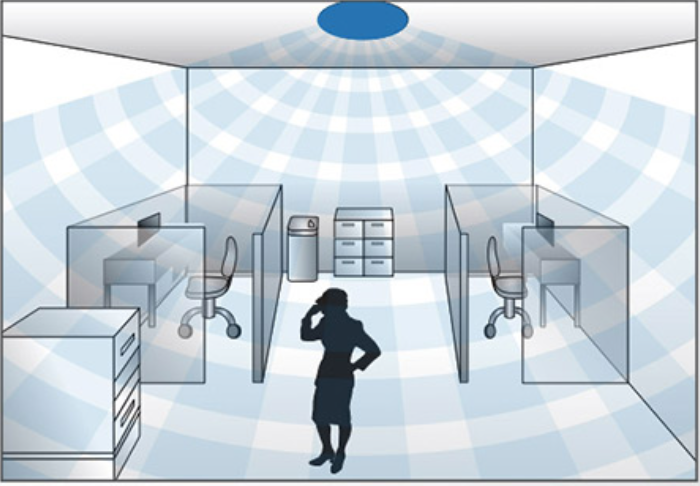 A few types of controls are: occupancy sensors, daylight sensors, and photocells. Occupancy and daylight harvesting sensors add an extra 30% energy savings! Customize your workspace according to your needs - too bright? Dim it down...! The flexibility and customizable options of LED technology allows us to craft a project-specific lighting plan that best suits your facility. Both exterior and interior sites can make the best use of energy by incorporating photocells, daylight harvesting, occupancy sensors, etc. without compromising light quality. LED is quickly finding the quickest payback in exterior applications. 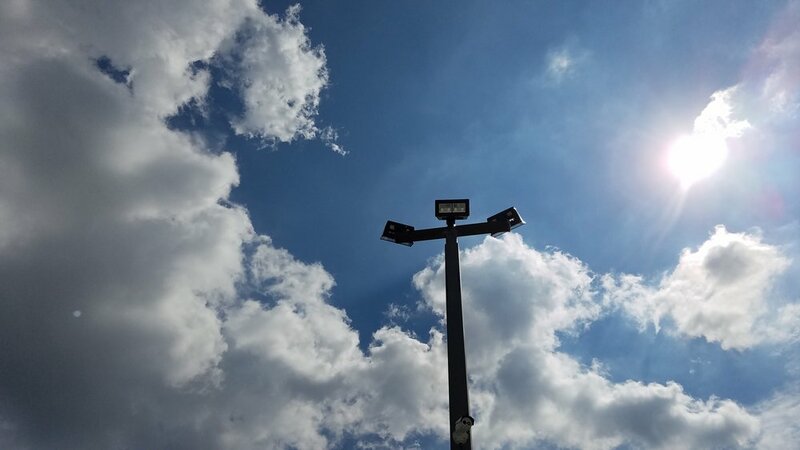 Despite inherently "liking" cold temperatures (perfect for the Midwest...), LED technology boast high color-renditioning, "white light" to improve nighttime visibility for safety and visibility for potential customers. Imposing and beautiful, Lumark LED Night Falcon flood lights (129 watts) provide an even, bright background.